North of Beijing, past the hustle and bustle of the capital and the stifling embrace of The Great Wall, lies the vanishing steppe of Inner Mongolia. It is a place Genghis Khan’s spirit calls home. Surrounding states learned to fear and dread the vast grasslands of Inner Mongolia and the “barbarian hordes” that gathered there. With speed, determination, and ruthlessness, the Mongolians managed to subjugate more lands and people in just 25 years than the Roman Empire conquered in four centuries. These conquerors moved swiftly and administered Mongolian “justice” to all who dared oppose them, sometimes obliterating entire civilizations. The Mongolian empire rewarded loyalty and made great leaps and bounds towards cross-cultural communication, religious freedom, fair taxes, and educational reform. Their empire guaranteed safe passage on trade routes that stretched across the Eurasia. What happened to the once mighty Mongolian empire? Why did this empire that academics have now lauded as the precursor to modern globalization vanish as a camel footprint does in the desert? How did Pax Mongolica give way to bloody succession crises and the collapse of Mongolian rule? To understand the answer to this question and more one must visit the lands that are holy to the Mongolians themselves. 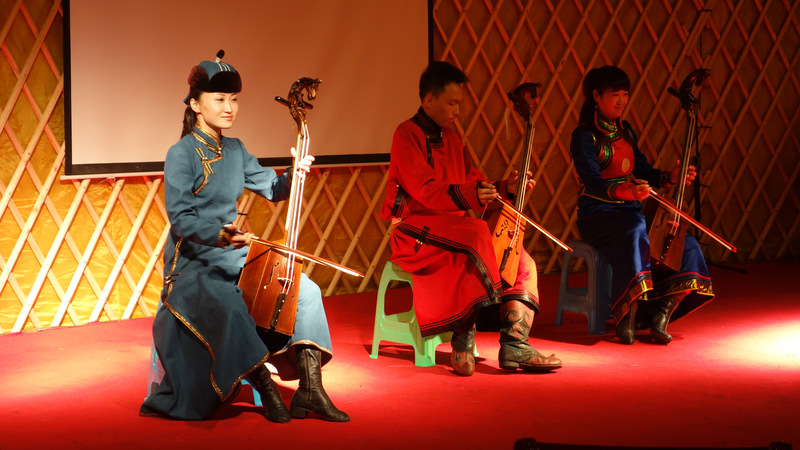 The Hutong will visit Inner Mongolia for two exciting days of culture, exploration, and interaction. After the Grassland Marathon and MTB Adventure, we will explore the steppe and encounter some of the most dramatic topography in the region, visiting dormant volcanos, basin lakes, the Ashatu Stone Forest. We will spend a night in a grassland yurt camp, and have a chance to stay with local Mongolian farmers and learn about the change in lifestyle as their culture has transformed from a nomadic to a sedentary way of life in order to adhere to legislation and national standards. At each new location, we will address environmental and social issues that locals in the area must face in the tenuous partnership they share with Mother Nature and a rapidly developing society. As always, a Hutong trip to Inner Mongolia will focus on the people, and the culture exchange we help facilitate with the local Mongolians we meet along the way. We will experience traditional Mongolian lifestyle by staying overnight at a yurt camp, practicing our archery and Mongolian wrestling skills, exploring the grassland on horseback, making Mongolian yoghurt and tastin numerous local delicacies that the area is known for. We’ll also pick up Mongolian words and customs, leaving the steppe with hadas hanging from our necks. 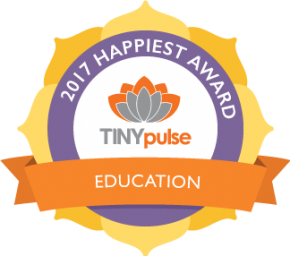 In an effort to increase understanding of Inner Mongolia, its land, and its people, The Hutong is proud to be taking adults, families, and international students through its cultural and environmental landscape. Our 2017 Inner Mongolia Vanishing Steppe Adventure will run from Monday, July 10th to Wednesday, July 12th. To reserve your space and receive an itinerary, contact info[at]thehutong[dot]com. 3300 RMB includes accommodation (based on double occupancy, single supplement available for most locations), meals, ground transportation, all activities, and wide open skies over windswept plains! Excludes airfare. This journey begins in Xiwuqi, the town where the Genghis Khan Festival takes place. The trip starts with breakfast and briefing in the morning. This journey ends in Xilinhot. Participants should plan their travel to return home from Xilinhot on the morning of July 12. (Transport to the airport that morning is arranged by The Hutong). Hutong trip leaders travel regularly to destinations to develop relationships with local contacts to provide the most authentic cultural experiences possible. As such, trip itineraries are subject to change, pending the discovery of an even better activity or destination. Itineraries may also be subject to change due to weather, traffic, or government policies. 1) All street signs in Inner Mongolia must be bilingually written in Chinese and Mongolian script. 2) Ethnic Mongolians comprise about 18% of the population in Inner Mongolia. 3) Mongolians typically greet visitors from afar by placing a hada around their neck and a cup of fermented horse wine. The visitor should first flick three drops of the horse wine out: once to the ground to respect the Earth, once to the Sky to respect the heavens, and once to himself to respect family. 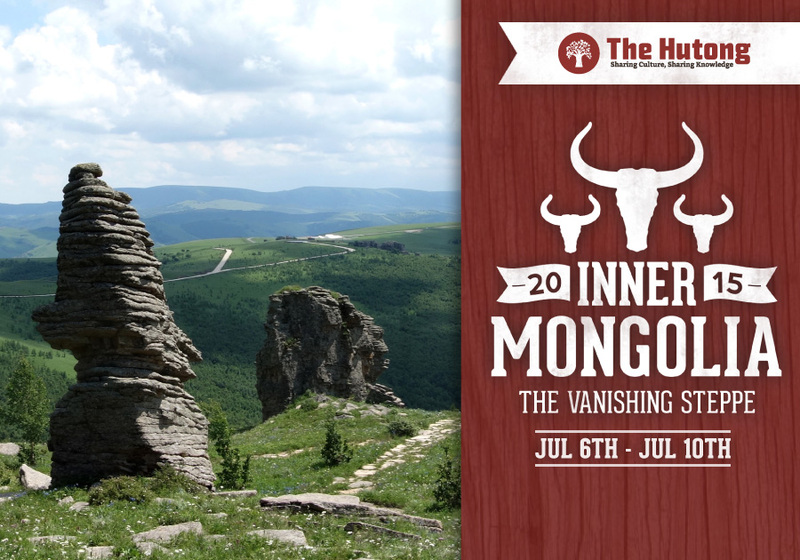 Our 2017 Inner Mongolia Vanishing Steppe Adventure will run from Monday, July 10 to Wednesday, July 12. 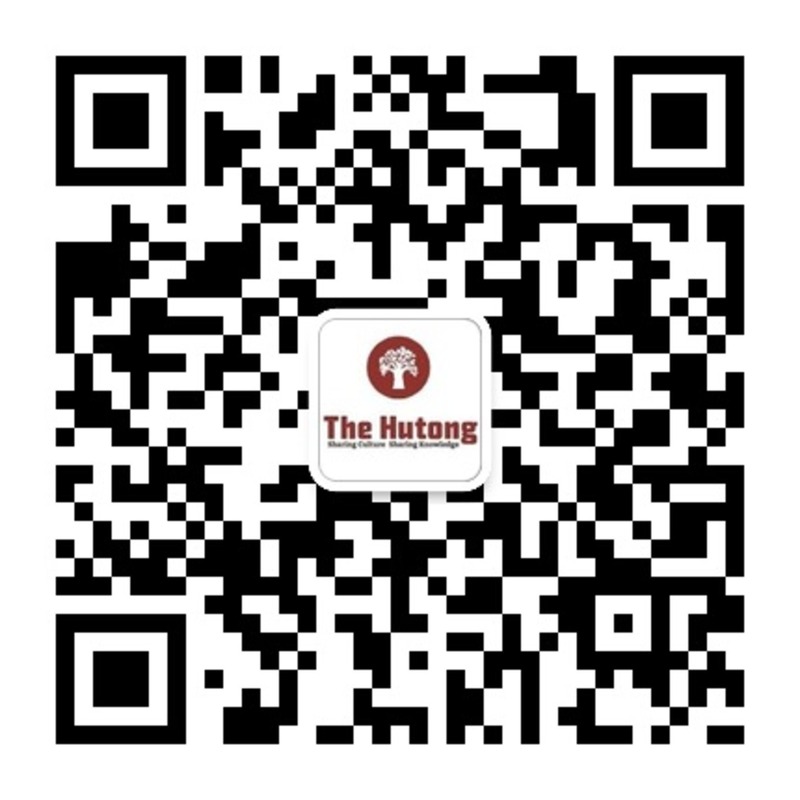 To reserve your space and receive an itinerary, contact info[at]thehutong[dot]com.